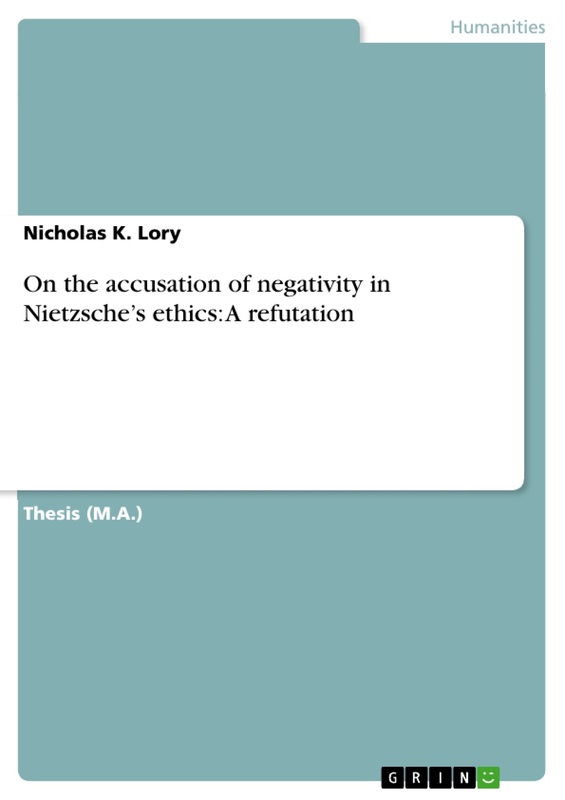 It is difficult to approach a question on the positivity of Nietzsche’s philosophy without a degree of prejudice. Nietzsche, considerably more than most other philosophers, has permeated Western popular culture to the extent that most people will have heard his name and even harbour certain connotations with it. Given the manner in which Nietzsche is most often portrayed in popular culture, it is unsurprising that these connotations are predominantly negative. “Conan the Barbarian”, for example, opens with Nietzsche’s line, “What does not kill us, makes us stronger,” indicating a certain encouragement of brutish barbarianism. Moreover however, Nietzsche’s philosophy is associated with cruelty in Polanski’s “Death and the Maiden”, in which Dr.Miranda, who tortured and raped political prisoners, is recognised for his tendency to quote Nietzsche. 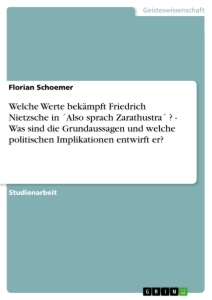 Perhaps Nietzsche’s most widespread association, is however with Hitler. I would presently like to argue that these negative associations are not only inaccurate, but in fact quite ironically opposite to the philosophy that Nietzsche actually promoted. While accusations related to Nazism can relatively easily be refuted, accusations of brutishness, elitism and immorality are not entirely unfounded: Nietzsche encouraged strength and power; called himself an “immoralist”; rejected democracy and human equality, and promoted the notion of an “Übermensch”. At first glance, Nietzsche’s philosophy thus appears to support the aforementioned, negative conclusions. It is for this reason precisely that short quotes by Nietzsche rarely do his entire philosophy justice. As will be seen presently, it is vital that Nietzsche’s philosophy be understood in its entirety if we are to realise its true, severely positivist nature. Such a reading will however not suffice to reveal Nietzsche positivism; judgements of Nietzsche promoting an inherently negative philosophy are present even in academic treatments of him, by authors who have, presumably, considered Nietzsche’s philosophy with some deliberation (see, for example, Jonathan Glover’s acclaimed book “Humanity: A Moral History of the 20th Century” ). It is among such academics that the most serious accusation against Nietzsche arises; that of Nietzsche being a nihilist. As with the other accusations, Nietzsche being labelled a nihilist is not unfounded; Nietzsche did promote nihilism. Similar to those other accusations however, it is of vital importance to understand Nietzsche’s promotion of nihilism in the context of his philosophy as a whole. By doing so, it becomes clear that Nietzsche (somewhat ironically) treats nihilism as a means an end, to present an inherently positive and life-affirming philosophy. 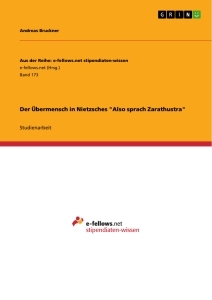 Nietzsche begins the main body of Thus Spake Zarathustra with a description of three spiritual metamorphoses that an individual must ideally go through, in relation to their tradition: that to the stage of the Camel, from the Camel to the Lion, and finally, from the Lion to the Child. The first stage, the Camel, is that in which the individual "wanteth to be well laden" by their tradition and thus takes on the burden of its values. The metamorphosis from the Camel to the Lion occurs when, having endured the tradition for too long, the individual seeks to escape the burden being imposed upon him. There however remains a final, powerful remnant of the tradition that seems to follow the individual; the values that the tradition imposed, which Zarathustra calls the "Thou-shalt". During the Lion stage, the individual stops simply following the “Thou-shalt”, and instead proclaims, “I will.” He thus begins to question and evaluate these values for himself and ultimately rejects them, thereby overcoming his "last Lord". Finally, the individual can live freely by his own values. While the Lion thus serves the vital role of "creat[ing] itself freedom for new creating", for next task of actually creating new values, the Lion is ill equipped. Thus, the final metamorphosis, to the Child, takes place. The Child is characterised by “innocence… a new beginning, a game, a self-rolling wheel, a first movement, a holy Yea.” It is in this final stage, where the individual is finally free from its traditional “Thou-shalt” values, that a new set of values can be created according to the individual’s “own will”. No longer must the individual view the world through the values of the tradition, but can appreciate the world with a new, playfully enthusiastic innocence. 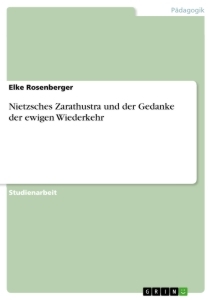 I would like to suggest that Nietzsche’s overall philosophy mirrors the narrative of Zarathustra’s three metamorphoses, and that an understanding of this three-stage structure will shed light on the positivity of his philosophy. Like Zarathustra, Nietzsche’s ultimate goal is to persuade people to revaluate their moral values away from their tradition, in the aftermath of God’s death. The starting point such a development is the tradition itself; any rejection must be motivated by a deep appreciation of the burdens it imposes. In the case of the Judaeo-Christian tradition, this burden is the nihilism that it entails, given the tradition’s values and God’s death. It is only by psychologically experiencing this nihilistic threat, that the individual can be motivated to fully escape the tradition that caused it. The first metamorphosis, from Camel to Lion, is thus motivated by a desire to overcome this nihilistic despair. Like Zarathustra’s struggle against the “last Lord”, Nietzsche’s ‘Lion’ stage urges the individual to question those moral values that originally caused nihilistic despair. It is by devaluing those last vestiges of the tradition that nihilistic despair can be overcome. The consequence of this devaluation is however another form of nihilism: nihilistic disorientation - a distinct lack of any normative values altogether. This form of nihilism is however much more promising; it represents a blank slate upon which to create new value. It is the establishment of nihilistic disorientation that spurs the final metamorphosis from Lion to Child. In this final stage the individual can move beyond simply rejecting the tradition, to a new kind of life-affirmation. Free from the constraints of the tradition, the individual must continually create their own personal values based on exercising their Will to Power. 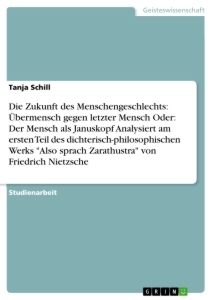 It is this ideal that is characterized by Nietzsche’s concept of the Übermensch. Illustrative of this three-stage process is Nietzsche’s reference to "philosophising with a hammer". Firstly, like much of Nietzsche's writings, this is a biblical reference; in the Old Testament, Jeremiah claims that God’s word is “like a hammer [that] breaketh the rock in pieces." While the image of the hammer quite readily connotes the violent, destructive approach that characterises the Lion, the significance of the image is echoed with the notion that God “maketh sore, and bindeth up: he woundeth, and his hands make whole.” It is this seemingly paradoxical process that reflects the metamorphoses; in order to reject nihilism and affirm life in the Child stage, Nietzsche must first overcome those values that caused nihilism is the first place. By singling out only the Lion stage of de valuation, Nietzsche thus unjustly appears exceedingly pessimistic, negative and even nihilistic. An important aspect of any discussion of Nietzsche is his distinct style of writing. For example, from the outset, Nietzsche’s On the Genealogy of Morality does not read like the scholarly treatise that many assume it to be; while it appears to be making factual assertions about the origins of morality, it rarely provides any references to support these assertions. This is however manifestly because it is not a conventional treatise. In fact, Nietzsche makes no attempt to disguise his method and openly contends that “what is needed is that something must be held to be true – not that something is true.” The historical facts that Nietzsche provides are, like the bulk of Nietzsche’s philosophy, not intended as belonging to a strictly logical argument that, if followed to its conclusion, supports an academic theory. Rather, Nietzsche uses his philosophy to emotionally persuade the reader to actually believe in, and agree with, his normative assertions: “Nietzsche cites anthropological facts less for intrinsic truth than to lure the reader into a maze leading to self-awareness.” While his “facts” might thus undermine Nietzsche's academic standing, they serve as a means of encouraging the type of thought that will lead to a self-realisation about the importance of his normative argument. The true significance of this final step coming from within, rather than being the result of a dictated philosophy, will become clearer during the course of this investigation. It will here be argued, roughly in line with Leiter, and Solomon and Higgins, that the critical aspect of Nietzsche’s philosophy, and the one that leads to a much more positive reading, is an understanding of the Lion's violent nay-saying as a means to the Child’s stage of affirmation. Once the Lion stage is understood in this context, it is revealed that its negativity is a necessary mechanism of a much more positive, life-affirming, overall goal. This three-stage progression is by no means the only approach to understanding Nietzsche’s philosophical endeavours. Nonetheless, it serves to effectively illustrate the fundamental positivity of his philosophy, as well as explicate the reasons for it often being perceived as negative. The overall structure of the present essay will follow the three metamorphic stages. Chapter III will illustrate Nietzsche’s motivation toward nihilistic despair, given the death of God. This will be followed, in Chapter IV, by a discussion of Nietzsche’s devaluation of moral values, in order to overcome nihilistic despair. Nietzsche’s re-establishment of values through his theory of Perspectivism will be investigated in the Chapter V, followed by discussion of the Will to Power values that Nietzsche specifically has in mind, in Chapter VI. The final two chapters will attempt to understand Nietzsche’s goals for humanity, and illustrate how they underline the ultimate positivity of his philosophy. This will be discussed in terms of the Übermensch and Eternal Recurrence, respectively. These chapters will however be preceded by a discussion of Nietzsche’s overall naturalist approach, in Chapter II. A premise for Nietzsche’s entire philosophical work is naturalism. Following straight from Thales, and continuing a considerable trend of the mid to late nineteenth century, Nietzsche endeavoured to explain the world without reference to fables, mythology or any form of supernaturalism. Specifically however, Nietzsche employs a naturalist methodology. Unlike the “substantive-naturalist” approach of reductionist materialism, Nietzsche's methodological -naturalism merely promotes “continuity with the sciences” in terms of its styles of understanding and explaining. This approach is a corollary of the notion that nature is everywhere and that the methods employed in studying nature ought therefore also be used elsewhere, including the study of people and their affairs. This methodology is particularly manifested in terms of Nietzsche’s philological investigations, which adhere to the practice of formulating falsifiable hypotheses, and then empirically testing them based on data; a criterion commonly assumed to determine a discipline’s status as a science. It is however not only in terms of his method of enquiry that Nietzsche takes a naturalist approach; naturalism comes to form a prominent conceptual backdrop for the entirety of his works, as well as his philosophy as a whole. In assessing the overall positivity or negativity of Nietzsche’s philosophy, the fact that he employs a naturalist methodology suggests objective neutrality about his theories. After all, scientific observations themselves are merely factual, disinterested attempts to uncover truth, and must therefore, by definition, be realistic, rather than negative or positive. When considering Nietzsche’s naturalist approach, it is however vital not to confound his aspirations as a philosopher. While Nietzsche congratulates the, often unrewarded, vigour with which scientists go about their work, he readily condemns their underlying motivation: the pursuit of knowledge for knowledge’s own sake. Nietzsche thus puts himself in opposition to a long-standing Western tradition beginning with Socrates’ declaration that the highest value is truth, and that the highest ambition is knowledge. Accordingly, Nietzsche draws an important distinction between science and philosophy: while science is concerned with the blind acquisition of knowledge, “real philosophers, however, are commanders and law-givers; they say: ‘Thus shall it be!’” Although this brazen declaration is perhaps, as is typical of Nietzsche, a rhetorical overstatement, it demonstrates the practical approach that Nietzsche takes to philosophy; he is not concerned with furthering academia, but rather, is motivated a tangible objective that he intends to achieve through his philosophical enquiry. Thus, although Nietzsche certainly does pursue truth and knowledge, he does so instrumentally and only as far as is necessary for promoting his normative philosophy. Importantly however, it is not only Nietzsche’s methodology that is naturalist; the philosophical motivation that lies behind his methodology is also inherently natural. It is through an understanding of this underlying motivation that the true, positive nature of his philosophy can be unveiled. This element of his naturalism is evident throughout his philosophy, but particularly in discussions of his devaluation of morality, which will be addressed in Chapter IV. A particularly controversial aspect of Nietzsche’s philosophy that arises as a direct consequence of his naturalist premise is the inherent inequality of humans that it promotes. This verdict arises from Nietzsche’s belief in the notion that “Man is a product of nature in body and mind… what he does, wills, feels, and thinks, depends upon the same natural necessity as the whole structure of the world.” Each person can thus be defined as a certain type of person, by natural and physical facts about them; their “type-facts”. Nietzsche differentiates between two types of person: Lower Men, who are characterized by weakness; and Higher Men, who are characterized by strength. While the majority of people belong to the ‘Lower’ type, it is the Higher men who are the “creative geniuses” and thus contribute to the further development of human culture and, thereby, the evolution of humanity as a whole. Higher men are therefore, according to Nietzsche, inherently more valuable to humanity than Lower men. This differentiation between types of person serves a vital role in Nietzsche’s philosophy, and will be referred back to several times during the present essay. Given that Nietzsche’s works were part of a technique to appeal to people’s emotions, rather than being philosophical treatises, a judgment of his positivity must be the result of an appreciation, not only of his methods, but also his underlying intentions, and overall motivations. In the following chapters I will suggest that, through such an appreciation, a lack of negativity, and inherent positivity can be revealed. Perhaps one of the most pertinent accusations of pessimism held against Nietzsche is that of him being a nihilist or promoting a nihilistic view of the world. This accusation is primarily due to his apparent rejection of life’s value and meaning, but is exacerbated by the fact that his philosophy is not merely an observational treatise, but rather, serves a normative end. The present chapter will however suggest that the very end to which nihilism is a means, is in fact overcoming nihilism. By revealing Nietzsche’s approach to refuting nihilism, it will thus become clear why Nietzsche himself is often accused of being a nihilist. Nietzsche’s refutation will be broken into three stages mirroring the three metamorphoses outlined in the first chapter. Beginning with the present chapter, the three stages will cover: firstly, acknowledging nihilistic despair in the face of God’s death; secondly, devaluating those values by which God’s death causes life to seem meaningless; and thirdly, filling the void left by Nietzsche’s devaluation by revaluating a new set of values and thus defeating nihilism. While the individual stages (particularly the first two) may convey a certain degree of negativity or pessimism, by appreciating the three stages as a whole, I intend to uncover the intrinsic positivity of Nietzsche’s philosophy. Perhaps the most consequential corollary of a naturalist approach to humanity, is understanding humans as a “Naturalprodukt”; an animal species, no more special than any other. It was this “naturalis[ation] of humanity” that provided the basis for Schopenhauer’s philosophy, which would come to be one of Nietzsche’s biggest influences. According to Schopenhauer, nature (and thus humans) essentially consists of ‘Will’; a blind force, striving for optimum condition with no ultimate purpose or conception of ‘good’. When instantiated in an individual, the Will is experienced as a continual and endless desire to life and procreation that can only temporarily be satisfied. Pleasure, Schopenhauer insists, can thus only ever amount to the transcendental cessation of suffering. As Goethe put it, “in desire I hasten to enjoyment, And in enjoyment pine to feel desire.” Thus, any temporary satisfaction merely perpetuates the painfully futile cycle; in the face of this Schopenhauer turns to nihilism, denouncing life altogether. Nietzsche argues that a realisation of God’s death entails that one's highest values and ideals are unrealisable due to the lack of an afterlife, and would therefore necessarily, Nietzsche insists, lead to nihilistic despair. Nihilistic despair thus requires the satisfaction of two conditions: firstly, that “God is dead”; and secondly, that our values cannot be realised in this natural world, but require God for their realisation. It is worth considering both of these conditions for nihilism in turn. Importantly, Nietzsche does not feel the need to justify his atheism; he largely takes a lack of faith in God to be something that is already, or at an rate soon will be, universally acknowledged. Nonetheless, it is important to consider what Nietzsche intends to convey by claiming that “God is dead”, and what this implies. Almost certainly what Nietzsche does not mean is that God Himself has actually, in some way or another, died or ceased to exist. What Nietzsche claims has died is not God Himself, but rather, faith in the idea of God: “the belief in the Christian god has become unbelievable [unglaubwürdig].” He does however not claim that the existence of God has been refuted. To do so, Nietzsche argues, could only ever suspend the belief in God. Instead, Nietzsche demonstrates the unworthiness of a belief in God by revealing that it “is fabricated solely from psychological needs.” It is by exposing the human origins of God that Nietzsche declares the absurdity of taking seriously any belief in God. Furthermore, he believes that any credibility for a belief in God will necessarily be undermined as a result of developments in the natural sciences, such as the extrapolation of Darwinian natural selection to Man’s origins. Nietzsche argued that people were already beginning to realise how insignificant God is to their lives, and felt confident that, with advances in science, it would not be long before they realise the death of God. For much of Nietzsche’s work, the death of God thus provides a presuppositional backdrop, rather than philosophical theory in its own right. This is evident in Thus Spake Zarathustra, where the narrative opens almost immediately with a declaration of God’s death, but subsequently focuses on the consequences thereof, rather than the statement’s veracity. Nietzsche referred to Schopenhauer as Germany’s first true atheist; Schopenhauer was not only an atheist, but also realised the grave consequences of a Godless universe in terms of what it meant for human life. Without God, the promise of an afterlife disappears, and with it, so does the possibility of ever attaining those highest values. With this prospect removed, not only is humanity left in a state of frustration with the possession of unattainable values, but its futile existence is also stripped of a goal; no longer is there that carrot incentive to endure the cyclical suffering. In the face of a Godless world, Schopenhauer turned to nihilism, rejecting life in favour of an ascetic existence. It is here that Schopenhauer’s dire philosophy ends. An overriding concern for Nietzsche was overcoming this threat of nihilism that he had found in Schopenhauer. Although Nietzsche thus embraces Schopenhauer’s deeply negative premise about the cyclical futility of life, it is vital to understand that he moves beyond Schopenhauer’s philosophy. Nietzsche takes arms against Schopenhauer’s nay-saying, ascetic attitude to life, and instead endeavours to find a viable alternative verdict to Schopenhauer’s pessimistic premise. Kathleen M. Higgins, Comic relief: Nietzsche’s Gay science (New York: OUP, 2000). Jonathan Glover, Humanity: A Moral History of the Twentieth Century (London: YUP, 2001). See: Arthur Danto, Nietzsche as a Philosopher (New York: Columbia University Press, 1980). Daniel Blue, Review of Nietzsche’s On the Genealogy of Morals: Critical Essays by C.D. Acampora (Lanham, Maryland: Rowman & Littlefield, 2006), 5. Brian Leiter, Nietzsche on Morality. (Abingdon, Oxfordshire: Routledge, 2002). Robert Solomon and Kathleen Higgins, Will to Power (Great Courses Audiobooks, 1999 cd), and Robert Solomon and Kathleen Higgins, What Nietzsche Really Said (New York: Schoken Books, 2000). Einar Thomassen, Is Philology a Science? ed. Willy Østreng (Oslo: Centre for Advanced Study, 2008), 112. Nietzsche rejected the Socratic notion of truth as the highest value and knowledge as the ultimate pursuit. He argues that this “will to truth” is nothing more than “youthful madness in the love of truth” (GS Pref. : 4). Ludwig Büchner, Force and Matter, Translated by J. Collingwood (London: Trubner, 1870), 239. Christopher Janaway, The Cambridge Companion to Schopenhauer (Cambridge: CUP, 1999). Johann Wolfgang von Goethe, Faust, Translated by Bayard Taylor (Leipzip: F.A. Brockhaus, 1872), 3250. 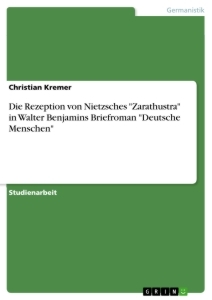 Although this refer primarily to those values associated with Judaeo-Christian Morality, but a more precise analysis of what exactly Nietzsche is critiquing will follow in the next chapter. Lawrence Hatab, Nietzsche’s Life Sentence: Coming to Terms with Eternal Recurrence (New York: Routledge, 2005), 74. Wallace Stevens, “Sunday Morning” in Poem Hunter <http://www.poemhunter.com/poem/sunday-morning/> (15 April 2011). Nihilistic despair is thus not the nihilist view that there are no values in the world at all, but rather that those values that exist are unattainable. Bernard Reginster, The Affirmation of Life: Nietzsche on Overcoming Nihilism (Cambridge, Massachusetts: HUP, 2008). Charles Darwin, The Descent of Man, 2nd ed. (London: John Murray, 1874).